The hotel comprises a total of 85 rooms, including 28 standard, 31 superiors, 21 executives and 5 suites and staff are highly qualified and multilingual. 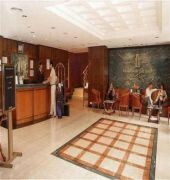 Facilities include: lobby with 24-hour reception, lift access, bar, restaurant, conference facilities in the 24-hour business centre, Internet access and parking. 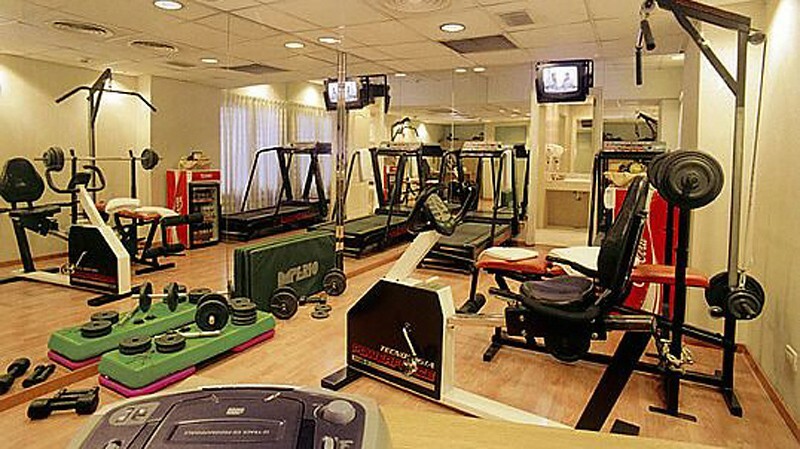 In addition, a 24-hour maid service is also provided.The rooms in the standard category are finely decorated in Bidermaier style and offer queen beds or twin beds. The executive suites are decorated in an exquisite English style and feature a living room, ceiling fan and large bathroom with hydro-massage bath. 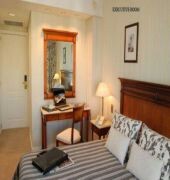 All rooms are fully equipped with the latest technology and meet safety standards, ensuring maximum comfort for guests. Rooms come with magnetic locks and keys, high-tech safety boxes, direct dial telephone,24 hours free Internet access, minibar, cable TV, alarm clock. In addition they feature large windows with double acoustic isolation, so that guests can rest well in a warm atmosphere. 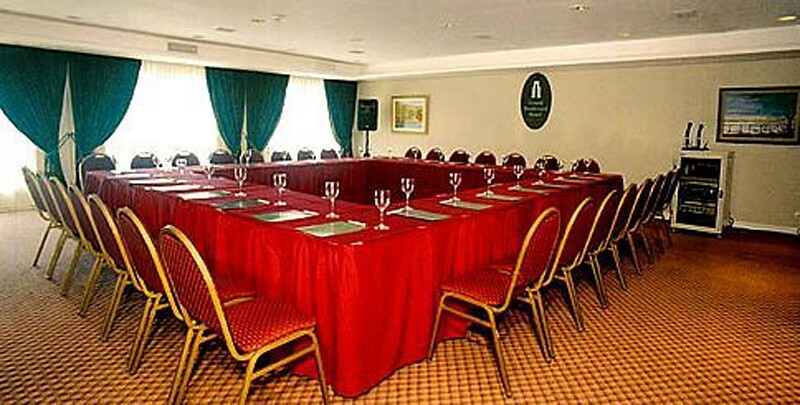 The rooms are non-smoking.This city hotel is situated on the 9 de Julio Avenue, one of the widest avenues in the world due to its typical central boulevard. It is located just a few steps away from the most emblematic symbol of Buenos Aires, the "Obelisk" and the renowned San Telmo. It is just a few minutes from the main tourist attractions, from the district of "Puerto Madero", tango houses, shopping areas and business centres. 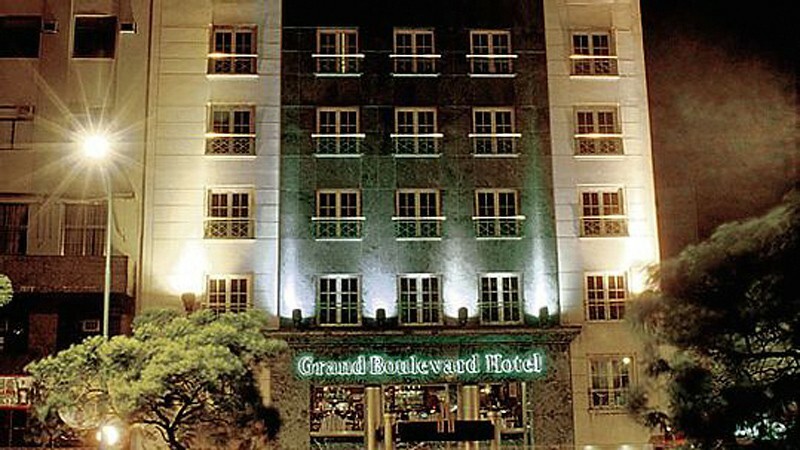 The hotel is easily accessible from the motorway and is only 30 minutes away from Ezeiza International Airport.